There is a lot going on in my project bag. I don’t know what is up with this week. My hands have wanted to dabble in a variety of things. Generally I am a pretty monogamous project knitter. However, some of these projects have emerged from my efforts to de-stash. 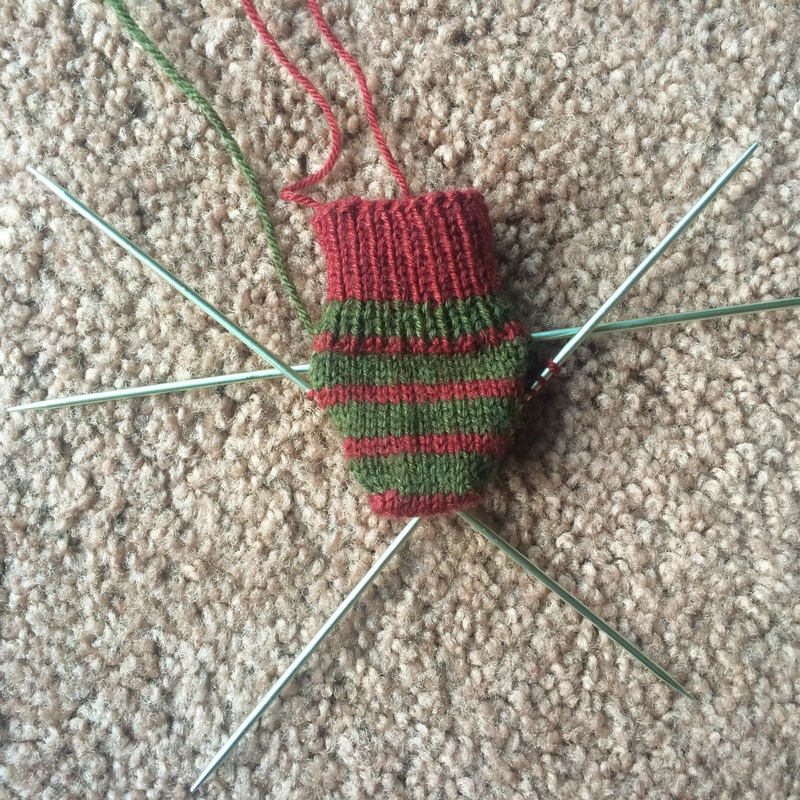 Another pair of baby socks are on the needles. I swear my size 1 DPNs are going to be worn out by the end of the year. This time I am using the rest of my Debra Norville Serenity Sock yarn to whip up some striped footwear. Aren’t they cute? It is hard to believe people start so tiny. I began my secret project with the alpaca yarn I picked up in Peru and OH MY GOODNESS! 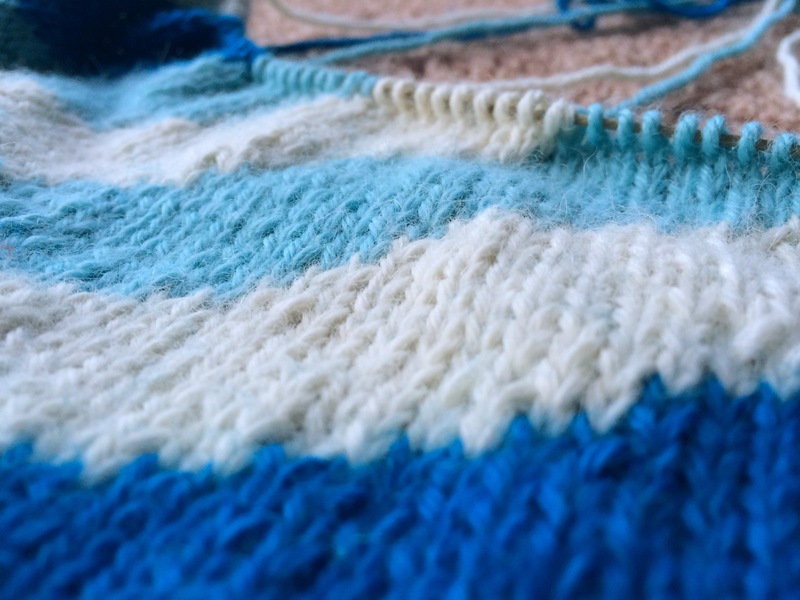 Knitting with this yarn is like knitting with clouds! It is sooooo soft. I wish I had bought more so I could have a whole alpaca wardrobe. Mix extra sock yarn and a desire to try new stitches and you get a pretty interesting result. 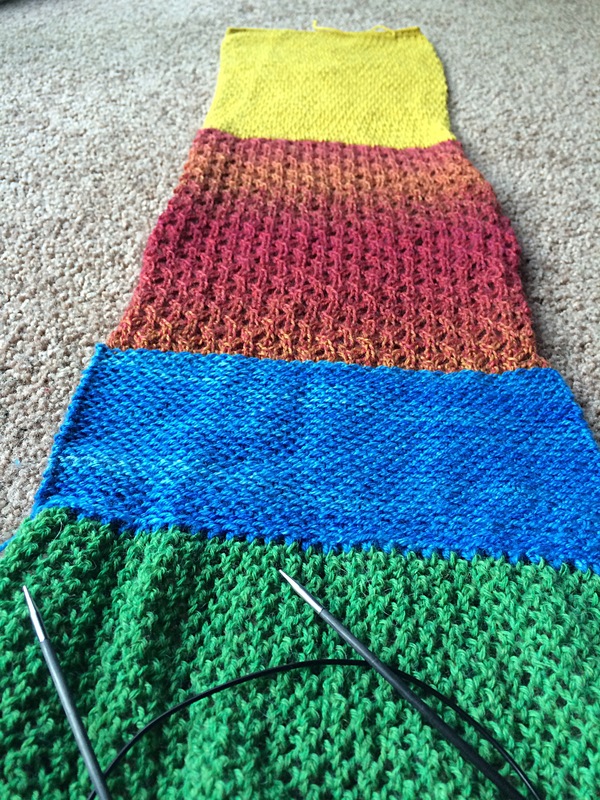 I think I am going to try and get all the colors of the rainbow in this project (minus indigo). Only purple and orange to go!